Piper McKinney's got her hands full. 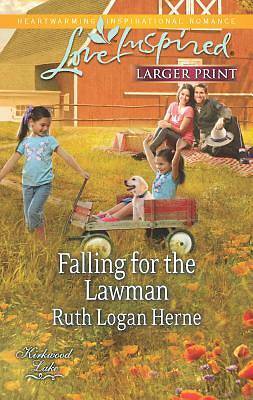 Busy saving her farm from developers, and her family from trouble, she has no time for love. Not even for the handsome state trooper who becomes her new neighbor. But Zach Harrison can't ignore the girl next door. Even though he gave up the farming life years ago, Piper intrigues him, and her plight calls out to the protector in him. Piper may not want a man, especially one with a badge, but Zach will show her that he's here to serve and protect...and love. Kirkwood Lake: A town full of heart and hope.